I had so much positive feedback to the last episode with Kate McGoey-Smith from Forksmart who shared her story of overcoming Type 2 Diabetes, right-sided heart failure and regaining her vision after 5 years of unimaginable suffering. Today I’ll be sharing Mike Meltzer’s story. 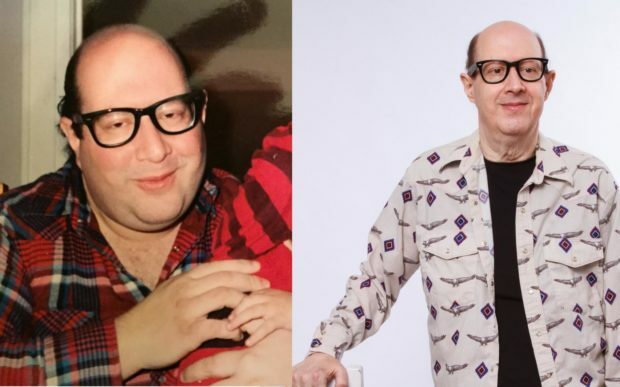 Mike was diagnosed with Type 2 Diabetes in the early 90’s after having always been the overweight kid at school and growing up a junk food loving vegetarian. For years Mike struggled with Diabetic retinopathy and Diabetic neuropathy. The prescription medications didn’t provide much improvement to Mike’s condition and his weight continued to increase until it reached over 320 pounds. In 2010 Mike came across a program on PBS with Doctor Neal Barnard who was talking about how to reverse many of todays chronic diseases through adopting a whole food, plant-based diet and so he contacted Dr Barnard directly and was referred to Dr Alona Pulde who supported him in making the transition. Mike’s health began to improve and eventually he sought assistance through Dr Michael Klaper who was working at True North Clinic at the time. Since then, Mike has lost 59 pounds and now weighs the same as he did in Junior High School! If you haven’t yet SUBSCRIBED to my podcast, I put out NEW episodes TWICE A WEEK over at Apple Podcasts (iTunes) & Stitcher App for Android. If you’d like to work with me 1:1 or to try out my 28 Day Program you can find all the details over at my Corinne Nijjer website. Thanks Mike for coming on the show and thank you all so much for listening each week and supporting this podcast. I am so grateful to you all.